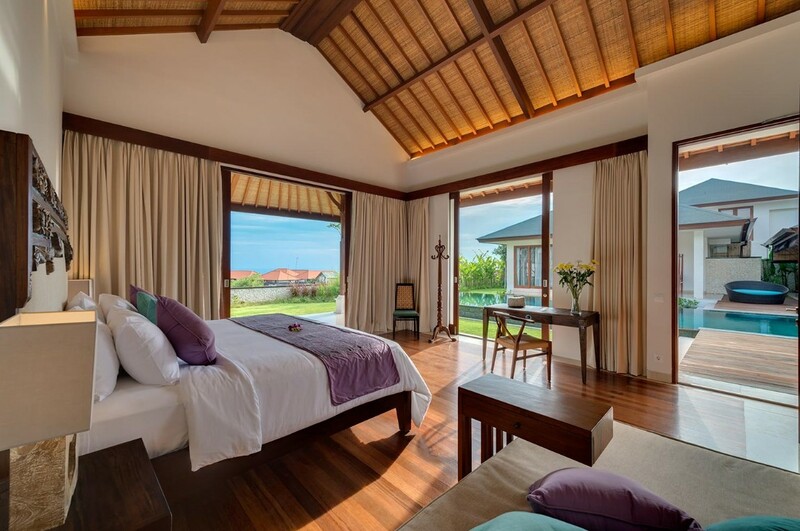 Nestled at Ketewel, North of Sanur, Ketewel Beach is an ideal location to cherish the glorious sunrises that is exclusive to the Villa & Spa. The spacious parking area covered by lush garden and trees will give our guest a homey atmosphere, while the main gate a Javanese 'Candi' style will direct you to a wooden bridge over a fish pond to meet our hidden treasure. Offering unrivaled views across the Indian Ocean. The five intimate, luxurious private pool villas with an impressive tropical and modern design offers an exceptional comfort and unique chance to experience magical island of Bali. The Villas & Spa is a beachfront resort offering villas with free WiFi. Added comforts include a personal butler and foot massage. The air-conditioned suites feature a seating area with a flat-screen TV, DVD/CD Player and a personal safe. A bathtub and free toiletries are provided in the en suite bathrooms. The Villas & Spa for sale provides airport shuttle services at a charge. The Spa offers massages, a hot tub and steam room. Yoga classes, horse riding and day trips can be arranged at the tour desk. Guests can also make use of the shared kitchen facilities to prepare meals. Daily housekeeping is provided for free. Astina Restaurant offers Indonesian and Western dishes, as well as afternoon tea with cake. Breakfast is served in the villa’s dining area or the restaurant. Room service is available upon request. Located at Pandawa Beach, the spa resort is a 15-minute drive from Ubud, and a 30-minute drive from Kuta and Seminyak. Ngurah Rai International Airport is a 40-minute drive away. Return airport transfers can be arranged with additional charges. Nearby:  MakBeng's Warung 2.5 km  Jazz Grill & Pub 2.7 km  Grand Bali Beach Golf Course 2.8 km  Le Mayeur Museum 3 km  Sector Bar & Restaurant 3.1 km  Sindhu Market 3.9 km  Art Centre 4 km  Bajra Sandhi Monument - Puputan Park Renon 4.6 km  Batu Jimbar Café 4.9 km  Kreneng Night Market.